October is breast cancer awareness month so La Mesa will donate $1 for every Project Pink’d Margarita to Project Pink’d! Project Pink’d, Inc. is a volunteer-powered charitable 501(c)(3) organization dedicated to helping survivors thrive by supporting the mind, body, and spirit of those diagnosed with breast cancer in Nebraska and Western Iowa. 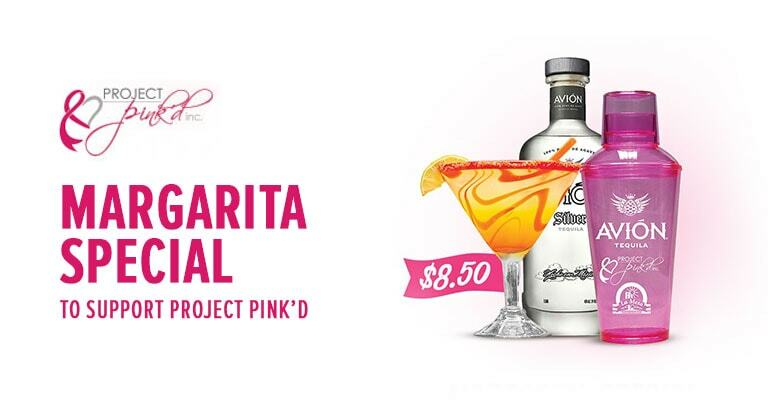 Enjoy a premium margarita featuring Avion Silver Tequila and keep the shaker while supporting Project Pink’d. Find your nearest La Mesa restaurant location and join us throughout October in our efforts to support Project Pink’d!